Each September, Chicago Gourmet takes over Millennium Park for a weekend of delicious food, delectable drinks, and good fun. 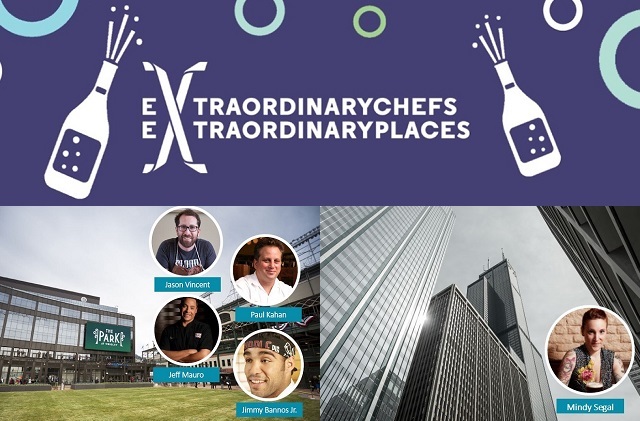 As part of the event’s tenth anniversary celebration, the Illinois Restaurant Association and Chicago Gourmet have rolled out the eXtraordinary chefs – eXtraordinary places event collection. Start Chicago Gourmet Sunday with a professionally guided, invigorating yoga session at Rise & Shine Gourmet at the Chicago Athletic Association, presented by UnitedHealthcare. With two sessions - early riser and sleepy Sunday - yogis can grab a mat and a friend to join Chicago Gourmet for a morning of wellness. After breaking a sweat, guests can revive with morning cocktails and well-earned brunch bites prepared by some of Chicago's leading chefs, with a portion of event proceeds benefiting Pilot Light. September 19: Cocktails on The Crown - SOLD OUT! September 20: Daring Design Dinner at the Robie House - SOLD OUT! September 21: Italian Feast on the Chicago Riverwalk - SOLD OUT! September 22: Farm2Table Dinner on The 606 - SOLD OUT! In addition to drawing excitement for stellar chefs and the city’s unmatched architecture, all Chicago Gourmet events are created with community in mind. Collectively, the event’s programs benefit notable charities including the Chicago Parks Foundation, Frontera Farmer Foundation, the James Beard Foundation, the Illinois Restaurant Association Educational Foundation (IRAEF) and Pilot Light. For additional information, visit chicagogourmet.org and follow on Instagram, Facebook and Twitter! 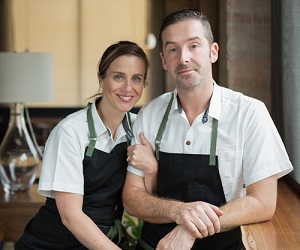 This month, we sat down with Chef John Shields and his wife Chef Karen Urie Shields, owners of Smyth - recently named by Bon Appétit magazine as one of the Top 50 Best New Restaurants in America - to learn about the acclaimed culinary duo's professional journey and plans for the future. John and I met while working at Charlie Trotters. We both come from intense work environments. We thrive under pressure. This keeps us striving for the impossible. John worked with Grant Achatz at Alinea, which empowered him to find his own voice as a chef. In 2008, we moved to Chilhowie VA, (Smyth County) to a small town of 1800 people and became chefs at Town House. Our time in rural VA was an unadulterated, unbiased creative culinary quest. We discovered what cuisine and hospitality truly meant. We are forever grateful for the inspiring indigenous product, passionate artisans, and farmers that we met there. Smyth County was our "ah-ha" moment, where our cuisine was formed. Smyth offers a complexity that is so nuanced that "gourmands" can appreciate it, yet it is natural and seemingly simple so that many guests find pleasure within the experience. You’ve just been named one of Bon Appétit’s Top 50 restaurants! What does that mean to you as chefs? It's an honor to be recognized. We are humbled to be in such superb company. You’re participating in Chicago Gourmet this year as a part of the Grand Cru, which is celebrating Chicago’s Ones to Watch. What are you looking forward to in the coming year? We are looking forward to staying true to our vision as chefs, hosts and entrepreneurs. Our vision is for The Loyalist to be a casual place that offers delicious food that is seasonal, thoughtful, sharable, fresh and memorable. All the while, Smyth was created to offer guests an un-intimidating dining space, humble service, as well as a dining experience that is seemingly simple yet knowingly complex and extraordinary. We set forth to break down some of the barriers that "fine dining" has set forth; we strive for our guests to feel relaxed and comfortable. Smyth + The Loyalist are part of the booming West Loop dining scene. What do you anticipate for the future of the area? We hope that the area continues to thrive and more and more restauranteurs open spaces, which only adds to the rich and diverse dining options that the West Loop has to offer. Any advice for aspiring restaurateurs? Stay true to your vision, fully commit, and never waiver; there will be obstacles, but use the obstacles as opportunities and deliver, deliver, deliver. 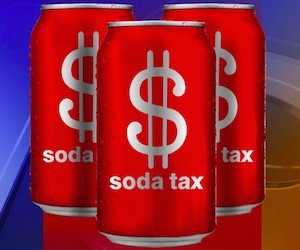 Soda Tax Repeal - Submit a Witness Slip Today! Tomorrow morning, on Wednesday, August 23 at 9:00 a.m., lawmakers will consider two bills that can repeal Cook County's Sweetened Beverage Tax. The bills will ban any home rule county or non-home rule county from taxing the use, sale, or purchase of sweetened beverages by weight or volume. You can tell lawmakers you support the bills by submitting a witness slip. All witness slips will be read into the record, allowing committee members to hear that you support the bill before they vote. Filling out a witness slip takes less than five minutes, but could have a huge effect on the committee's decision. Click here to go directly to the witness slip for HB 4082 and HB 4083. Fill out your information in the first section: I. IDENTIFICATION. Fill out the second section, II. REPRESENTATION, if you are submitting on behalf of an organization or business. If you are submitting as a resident you can leave this section blank. In the third section, III. POSITION, check Proponent. In the fourth section, IV. TESTIMONY, check Record of Appearance Only. This indicates to the committee you are submitting opposition, but cannot be present. Continue with the verification items and click Create Slip. You're done! The IRA will be in Springfield tomorrow to urge lawmakers to support these pieces of legislation that repeal Cook County's regressive soda tax. To get engaged in the coalition that is working to repeal the soda tax, please contact Matt Quinn, IRA Government Relations & Communications Manager at (312) 380-4122 or mquinn@illinoisrestaurants.org. Issues with EMV Tech? Tell Us About It! This October will mark the two-year anniversary of the EMV or “chip card” liability shift. 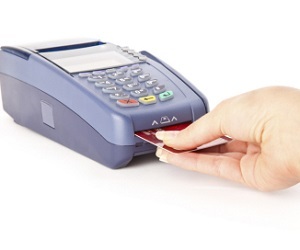 The EMV liability shift changed the responsibility for fraudulent payment card charges from banks to merchants: since October 2015, if a customer presents a fraudulent EMV or “chip” payment card but the merchant does not have EMV-enabled point of sale equipment installed to verify the card, then an EMV-related chargeback will be issued. The EMV liability shift was not mandated by Congress nor is it required to accept payment cards at this time. Instead, the EMV liability shift was a card brand – VISA, MasterCard, American Express, Discover and JCB – led effort to stop the use of fraudulent credit cards, the most prevalent form of in-person payment card fraud in the United States. Many restaurants continue to report issues and frustrations about the EMV liability shift, such as the lack of EMV-certified equipment available, long certification delays, confusion about PIN acceptance, and uncontrollable chargebacks. The IRA, along with the National Restaurant Association (NRA) wants to learn more about restaurants’ specific issues on the EMV liability shift to inform and guide our advocacy efforts on this topic on behalf of our industry. Take our survey today to let us know how you've handled the EMV liability shift, and how we can help moving forward. Contact Matt Quinn, Government Relations & Communications Manager, at (312) 380-4122 or mquinn@illinoisrestaurants.org with any questions or comments about EMV technology. The sophisticated, elegant space of Acadia provides a perfect house for the simultaneously contemporary and classic cuisine from Chef Ryan McCaskey. Divided into a bar space, dining room and private dining room, Acadia is comfortable and inviting, with natural elements throughout. Soaring ceilings and colors of warm neutrals, cool grays, chocolate and sage are peppered throughout the minimal space. An open kitchen and wine room reinforce the fact that Acadia is first and foremost about great food and wine, and attention to detail paid to both. 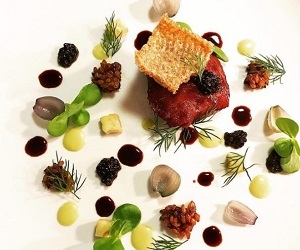 An a la carte menu and three course menu at the bar feature McCaskey’s contemporary take on Classic American cuisine, while five and nine course tasting menus in the dining room lean towards Progressive Global cuisine. Attentive service, contemporary-classic cocktails and a global wine list round out the offerings. Book your experience at Acadia today on Tock. Visit Chef Ryan at Ballpark Fare Goes Gourmet at The Park at Wrigley on Saturday, September 23 during Chicago Gourmet.